With over 40 years in operation, Clintar understands the importance of maintaining a safe and accessible space for clients and the public on a commercial property. The unpredictable and harsh winter climate in Canada can be difficult to understand; fortunately for our clients, we’re in the business of anticipating and being prepared for such inclement weather, so you can work without worries. 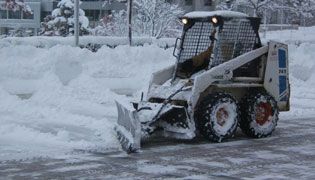 From November to March or from the first snowfall of the year, Clintar can provide any commercial property with 24/7 snow plowing services. In the event of a daytime snow storm, Clintar staff can be available at your site for at least two site visits to ensure sidewalks and parking lots are cleared for the safety of your employees and the public. Clintar makes every effort to minimize the interruption of traffic flow to your property during daytime snowfall, ensuring all entranceways, roadways and parking accesses are sufficiently plowed for traffic access. Sidewalks will be cleared upon two centimetres of snowfall and plowing of the complete property commences in snow accumulations of four centimetres or more. Clintar practises a pro-active approach to salt and ice control. 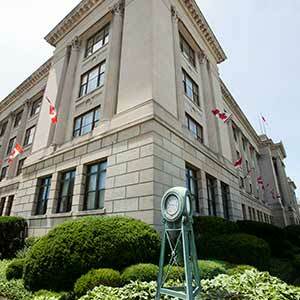 During regular site patrols, Clintar staff will apply salt and/or brine solutions to your property as required. 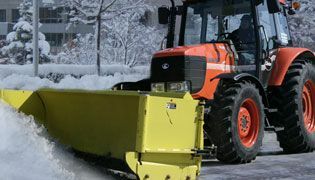 Salting of your property is executed after each snow plow and whenever warranted by the weather conditions to reduce impending snow accumulation. As an alternative ice control solution to salt and a more sustainable option, we also offer the application of brine. Clintar recommends applying a combination of both salt and brine to your property as many property managers will attest that it is the most effective for maintaining a lower winter services budget, while being a more environmentally-friendly choice. Brine is considered a pre-treatment for ice control and prevention on sidewalks and roadways to stimulate the early melting of snow. 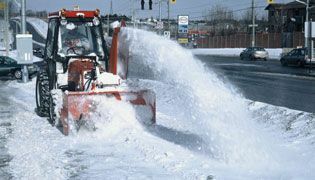 In addition, brine makes the snow plowing process quicker and more efficient. The use of brine has proven to reduce the amount of salt required to accomplish similar results in extreme weather conditions, which results in lower salt runoff, less fresh water contamination, less property damage caused by salt, and healthier surrounding landscapes. Clients trust in Clintar because of the peace of mind we provide to their company. As part of our varying Snow and Ice Control packages, Clintar staff will routinely perform site patrols to prevent any buildup of snow and ice that could result in dangerous conditions for driving or walking. As part of our efficient site patrol practices, Clintar has a 24/7 weather monitoring team to stay on the pulse of expected inclement weather changes. 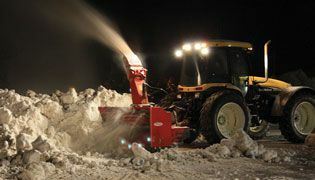 Therefore, our snow and ice control team are always appropriately equipped and prepared when it comes to clearing your property of snow and ice. All Clintar snow plowing vehicles are equipped with Weather Monitoring to provide on-demand proof of service and reports on the site arrival of our team, details of tasks performed and the length of time spent on the tasks.